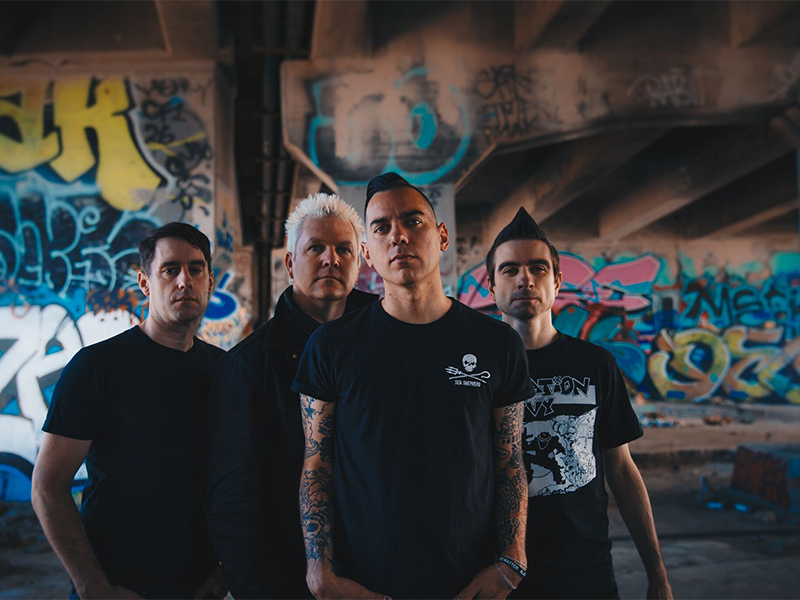 Since unleashing their seminal 1996 debut Die for the Government, Anti-Flag has empowered and emboldened the listeners of two generations beset with a new millennium stricken by war, racial upheaval, and financial collapse. The Pittsburgh, PA quartet—Justin Sane [vocals], Chris#2 [bass, vocals], Chris Head [guitar, vocals], and Pat Thetic [drums]—has consistently embodied a timeless punk spirit over the course of nine influential offerings, including The Terror State, For Blood and Empire, and most recently, 2015’s American Spring. The latter boasted appearances from icons such as Tom Morello and Tim Armstrong and yielded the anthem “Brandenburg Gate,” which cracked 1.3 million Spotify streams and counting. They’ve incinerated stages on tour alongside Rage Against The Machine, Sick of It All, Billy Talent, The Offspring, Rancid, and more in addition to festivals ranging from Coachella to the Vans Warped Tour. A cultural institution, they have spoken out on behalf of movements such as Occupy Together, Greenpeace, Sea Shepherd, and Amnesty International between launching their own label A-F and ANTIFest.